Kenya and Mauritius are the only African countries making significant steps towards adopting Public Key Infrastructure (PKI)in terms of regulatory framework and infrastructure. PKI implementation is however faced with significant challenges which include creating public awareness on digital certification, developing capacity of legal expertise with PKI and assuring reliability of legal frameworks for business use. These are key precedents which have been part of the discussion at the COMESA summit on PKI and cybersecurity. To meet some of this challenges, the summit included a cybercrime workshop whose focus was to sensitize CxOs from the financial sector on the impact of cybersecurity. The workshop sought to build their capacity for assessing and preparing appropriate mitigation strategies dealing with fraud emanating from cyber crime effectively. Earlier, in a build up towards the summit, the Kenya ICT Authoriy organized an Open Lecture to create awareness among university students and lecturers. The lecture was hosted at the University of Nairobi with the attendance of over 150 participants from different universities. As the Kenyan government plans for mass conversion of its services to electronic platforms, collaboration with different stakeholders is important for any level of success to be realized. 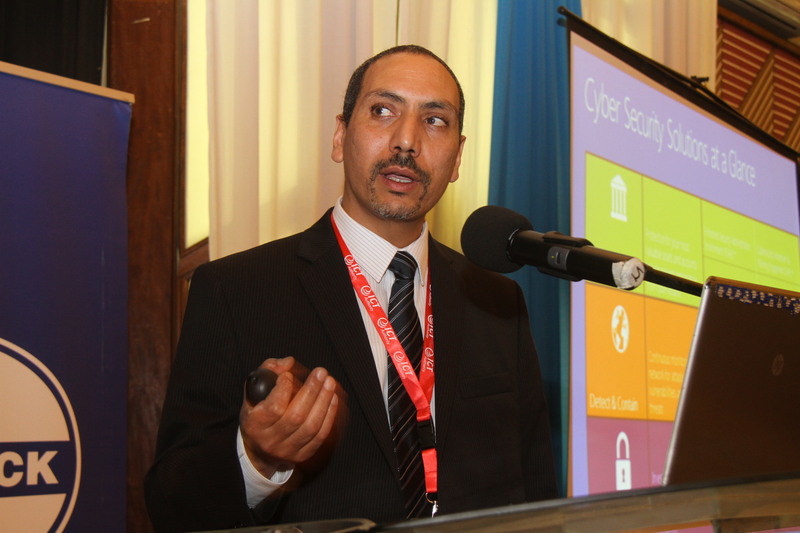 Development of comprehensive legal and regulatory frameworks on cybersecurity requires public participation from key stakeholders in order to facilitate economic growth. This ensures that robust measures are taken towards fostering cybersecurity, a vital aspect for an economy that heavily relies on the internet. “For effective repression of cybercrime, governments should not only regulate information security but also facilitate and collaborate with stakeholders in ICT.” – Cisco’s Kan-Kin in his Keynote address at the summit. The adoption of broadband internet in the country has driven many organizations to invest in technological infrastructure. This also carries the cost of openning up businesses to the risk of cybercrime. The COMESA forum gave an opportunity for vendors to sensitize their customers about the dangers of cyber crime and how to mitigate them. Through local training activities, we are able to make sure our customers’ systems are well protected against cyber attacks. They need to contain these attacks, isolate them before removing them from the company’s main system. “95% of organizations globally are compromised by determined adversaries, in most cases these are full time employees. Casual hackers and viruses rarely pose a significant threat compared to targetted attacks which seek to gain control of identity store and download terabytes of data” – Hesham A Ali, Services Solutions Sales Lead, Microsoft Middle East and Africa HQ.